I hope all is well, and I hope you’re enjoying the nice weather. I write today with some more exciting news for our parish. We have a new youth director at Saint Timothy’s. After interviewing a number of good candidates, we found our youth director right here in Maple Lake and from Saint Timothy’s. I am very happy to announce that Baylyn Wagner has accepted the position of youth director here at Saint Timothy’s. Some of you may know Baylyn already. 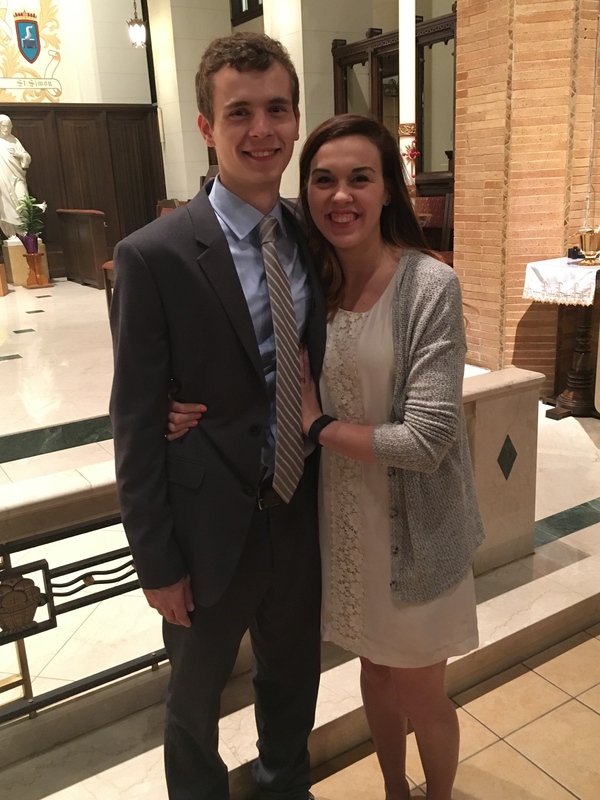 She attends Saint Timothy’s, participated in the youth group in our parish for many years, was a member of the core team, and is now attending the University of Saint Thomas to pursue a bachelor’s degree in Catholic Studies. As many of you know, she will bring a strong faith and strong desire to help the youth of our parish to this position, and I’m excited for her to start. Being a part of the youth group for many years and knowing many of the events and activities already in place will also allow her to hit the ground running. It will be great to have her energy, her faith, her Catholic Studies background, and her passion to serve the youth in our parish here at Saint Timothy’s. Please join me in welcoming her in this position. She will be working full-time as our youth director while continuing to take some courses in Catholic Studies. As we transition to Baylyn starting in July, I want to thank Heather Quinlan once again and wish her well as she begins married life in the fall and begins her new vocation that she has felt called to do in staying home with her new family. I’m grateful for all of Heather’s hard work and time and dedication to the youth. Please also join me in thanking her for all of her dedication to our parish these past two years.